This run was held in picturesque Pebble Beach on the Fire Defense Roads, from 9:00 am - 12 pm. 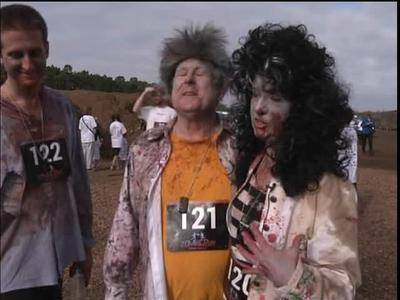 There were two running courses: the challenging 5K Zombie Crawl and the 2K Survivor Stroll. Emergency Preparedness booths were set up for runners to learn something that could help them survive the next zombie apocalypse, or other disasters.